Gretel GT6000 is the latest offering from the company in the budget price segment. The device comes packs with massive 6000mAh battery, which is double the capacity available in the current market. 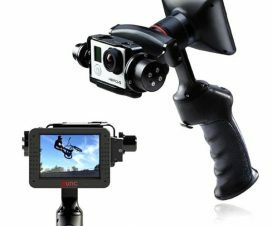 Apart from this, the Gretel GT6000 also sports dual rear camera setup for better quality pictures. 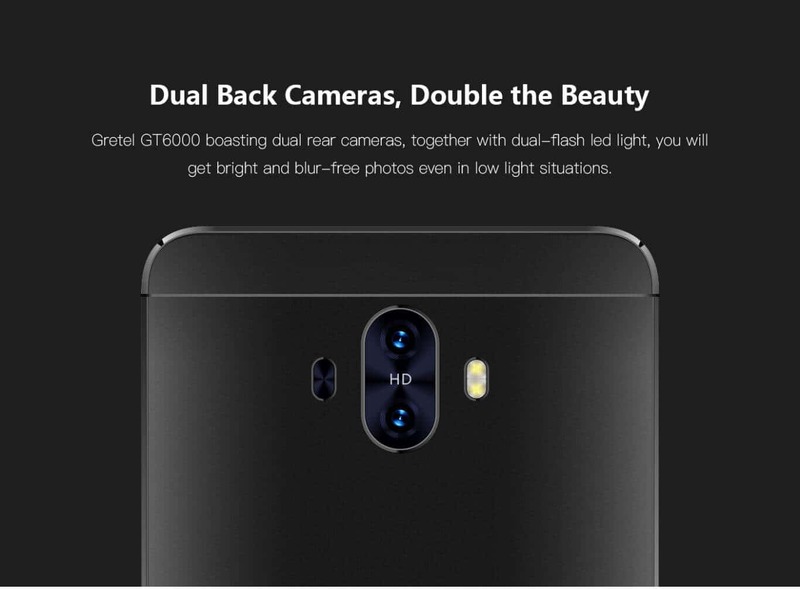 With this, the GT6000 becomes one of the best Android phone with dual camera setup under $100. 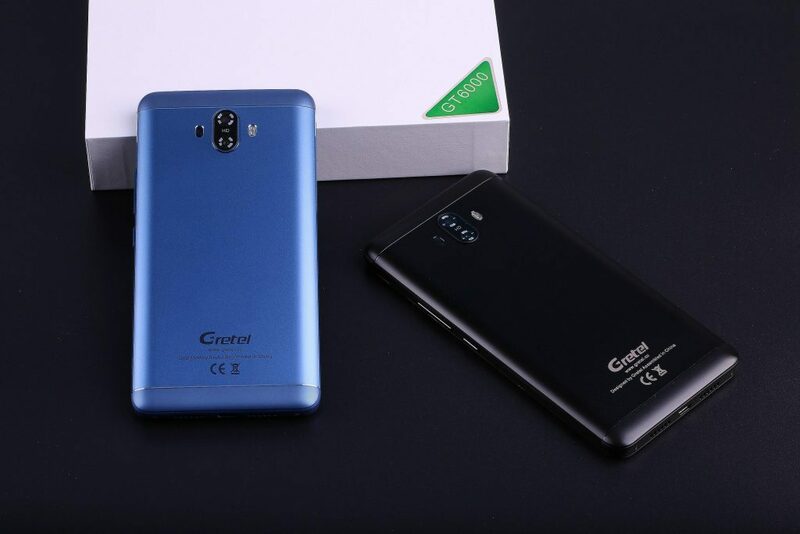 To let you know, Gretel GT6000 is currently on sale on GearBest for just $99.99 which is 20% less of its normal pricing. With dual camera setup and 6000mAh battery, it is great deal to grab. 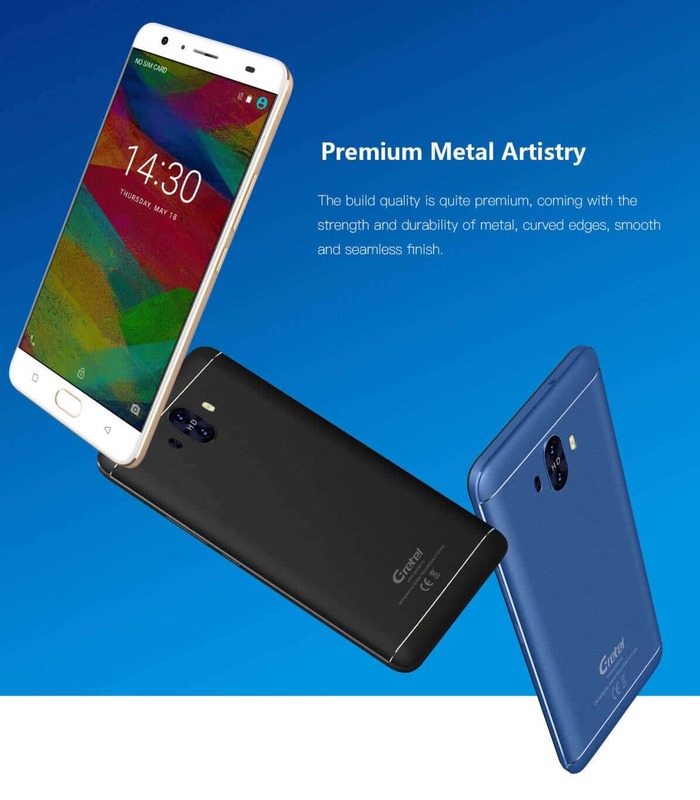 Apart from this, the Chinese online retailer is also conducting promotional sale on various other Gretel smartphones including Gretel A7, A9, and more. 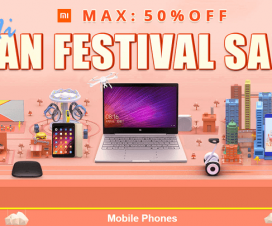 You can check GearBest Gretel Promotion sale here for more details. Like most of the Android smartphone, the Gretel GT6000 also sports a 5.5-inch IPS display with screen resolution of 1280 x 720 pixels. Under the hood, there is a 1.3GHz Quad-Core MediaTek MTK6737 CPU coupled with Mali-T720 GPU and 2GB of RAM. It has 16GB of internal storage which can be further expandable up to 32GB using a microSD card. The GT6000 has dual SIM support, 13MP + 1.3MP dual rear camera and a 5MP front camera. Considering the software, it runs on latest Android 7.0 Nougat out of the box. 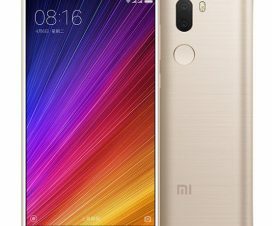 There is a front-positioned fingerprint sensor and a 6000mAh non-removable battery support. The Gretel GT6000 is available on GearBest for a flash sale price of $99.99, which is 20% off of its regular pricing. It is applicable for free shipping to most part of the world. For more such Android phone deals, offers and coupons, do checkout our DEALS section. 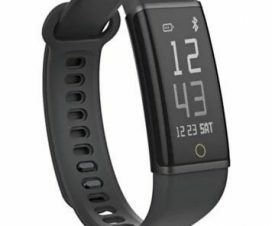 [Flash Sale] Lenovo Cardio Plus HX03W Smartband for $29.99 – Buy Now!